Taking a break from my ‘History, Cultural Memory and Trauma’ class in Bungehuis, Spuistraat. View from the classroom’s window (November 2014), this extraordinary graffiti was a rest for both the eyes and the mind. It used to be a squat right at the centre of the city, house of artists and many music events. I’m flashing forward to 2017; despite its residents’ call to ‘Save the Snakehouse’, this petition was unsuccessful and the Snakehouse has unfortunately been demolished. The art world is so biased! To some people this was just a building with no artistic value that had to be replaced by a new one, probably to hοuse a company in the private sector. 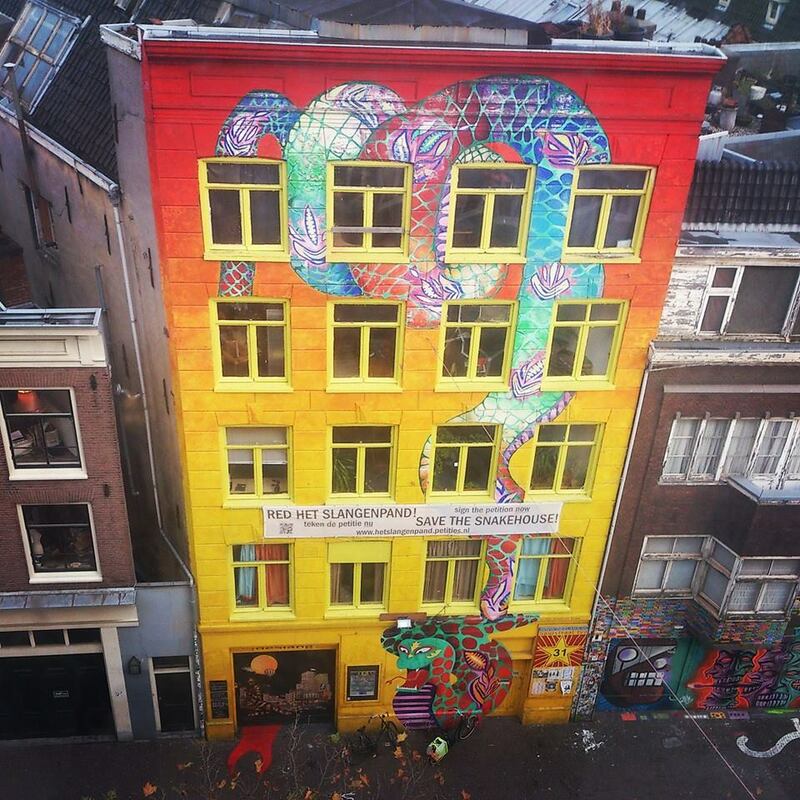 To me the Snakehouse will always stand for my academic years in Amsterdam and the piece of art that one of my friends in Greece thanked me for taking a photo of because that was her way of travelling around the world.